در حال نمایش نتایج برای برچسب های 'آموزش swift'. در این آموزش قصد دارید 8 ابزار مهم برای توسعه دهندگان iOS را بررسی نماییم Jazzy: This iOS development tool is a code used for the documentation of any iOS app. From any programmer’s perspective, documentation is the key attribute for developing any app. A documented file usually allows the programmer to understand the aim of writing the app’s code. Hotfix Native iOS Apps: This tool can help you push the code levels to native Objective-C apps instantly. It enables direct access to the app’s methods and patches them by delivering app alert messages. Gitter: This iOS development tool is built on the top of GitHub. It is mainly used for public and private chats. It also enables the tight collaboration within organizations. Gitter is specifically aimed at developers. Charter: This is a great tool for iOS app development. Basically, it is rendered by Swift programming language that keeps up with the language mailing list on iPhones and iPads. It provides both online and offline view as well as support for message threading for the conversation. Crayons: This tool is actually a plugin that enhances working with colors in the project. It provides access to the custom colors that are defined in the code. It allows you to share the color pallet in the file which is accessible via writing suitable methods accordingly. Qordoba: It is a local SDK (software development kit) that works with local files and assets. The main aim of this tool is parsing, in simple words, to establish connectivity between the application and the database associated with it. Swift Express: This is a simple yet powerful tool written in Swift. It has a framework and a simple routing mechanism. It helps to run the app while managing the dependencies of the project. iOS Up: This tool comes with a free software which can be easily downloaded. It offers high-quality assets along with a market to purchase those assets. 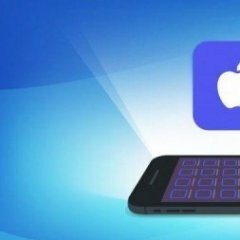 Although there are many other famous iOS application development tools out there but the ones mentioned above are widely used by the iOS developers. Feel free to utilize it in your IDE (integrated development environment) for building easy and smooth Objective-C or Swift based web and mobile applications. Rishabh Software specializes in building native iOS mobile apps tailored to various requirements of the clients. Learn how you can choose a right company for outsourcing iPhone app development project?